Looking for some late summer reading? The Wave at Hanging Rock is the debut novel from former Boards magazine writer Gregg Dunnett (who is also the brother of Round Britain Windsurfer Jono Dunnett). It’s a psychological thriller built around surfing’s infamous localism problem. The story revolves around three boys who grow up as surfers in a small village. They discover an incredible surfing break hidden nearby inside a private estate – the wave at Hanging Rock of the title – and their obsession to protect it from outsiders leads to consequences which none of them can escape from. The book is set in a surfing world rather than SUP, but since Gregg is also a keen paddler, we asked what inspired him to get writing. 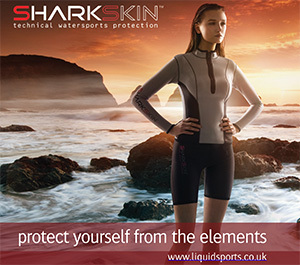 ‘I grew up windsurfing and I’ve always been disappointed and frustrated in the way that water sports like SUP, surfing and windsurfing are portrayed in mainstream books or films. They very rarely feature at all, and when they do it’s almost always in the same old cliches. 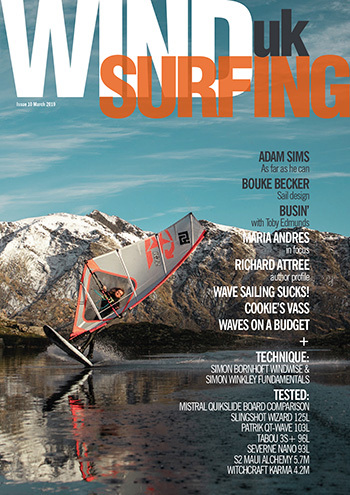 Windsurfing is usually shown by TV presenters falling off a board on a gravel pit outside west London. Surfing is this mystical or macho quest, the search for the ultimate ride or the biggest wave, or some taking a pilgrimage to Hawaii. Paddleboarding actually does a little better, at least it’s cool at the moment, but ask most people what it’s really about and they’d probably tell you it’s what celebrities do on holiday. It’s all so different from how I actually experience these things, and it can’t just be me. So for a long time I had this idea that I might try and write some proper, mainstream stories which dealt with these sports in a more real way. And it would probably only ever have stayed an idea but for one thing. A couple of years back my brother suddenly announced he was going to windsurf all the way around Great Britain alone and with no support boat following him. It was a crazy idea but I watched as he basically just got on with it and did it. And that gave me a real kick up the arse that if he could do that, how hard could it be to finish a book? So I started getting up at five every morning and trying to write my 1000 words before work, and dedicating spare time at weekends to writing. What’s your background in SUP? Until SUP came along I windsurfed reasonably well and surfed reasonably badly. I had my first SUP at a windsurfing competition on the Isle of Wight. I paddled out on a day with a lumpy one foot swell. I wasn’t expecting much, but then I half-caught a wave and probably surfed it about as well I could on my normal shortboard. I realised right away that this had potential, the way you could get into waves early and easily keep the speed to trim along the unbroken face – it was just a lot of fun, and you could get so much more out of it than in a regular surf session. So I bought one straight away, and back then they were all huge, so it also worked on flat water. Since then I’ve paddleboarded as much as I’ve windsurfed. With SUP I love that you can get out there on the glassy days that windsurfing misses, whether there’s waves or not, it’s a special feeling to glide across perfectly still water. 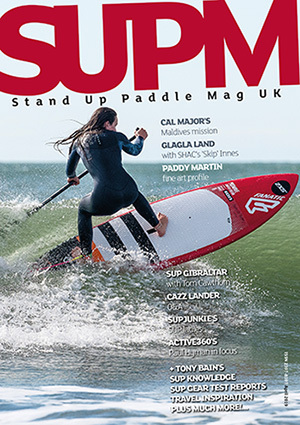 Could the book have featured SUP instead of surfing? Possibly yes, but it wouldn’t have worked as well. The issue of ‘locals’ resenting and trying to protect ‘their’ waves from outsiders is definitely most linked with surfing, so it made sense to give the novel a surfing setting. But the overcrowding of surfing breaks is an issue that affects all the different types of craft that set out to ride them. In a way though that’s the greatest strength of SUP. In so many places it does allow you to paddle down the beach for ten minutes and find a spot where you can have as many waves as you like, and not feel like you’re getting involved in that fight for your share of the waves. And finally, is this a one off or do you have more ideas for other books? I hope it’s not a one off. Right now I think I’ve got three surf-related ideas I’d like to turn into novels, The Wave at Hanging Rock being the first of them. But ultimately it will depend on the reaction to this first one. I’ve got a hunch that there are people out there like me who would enjoy stories that are set in a world where surfing and other water sports are represented more authentically. But I could be wrong. I don’t know of anyone else trying to do this, and there might be a good reason for that! I just hope people will give it a go. The Wave at Hanging Rock was released on 10 September in Amazon Kindle format and there’s a printed copy coming soon afterwards. You can order a copy now on Amazon. SUPM has read it and can thoroughly recommend.